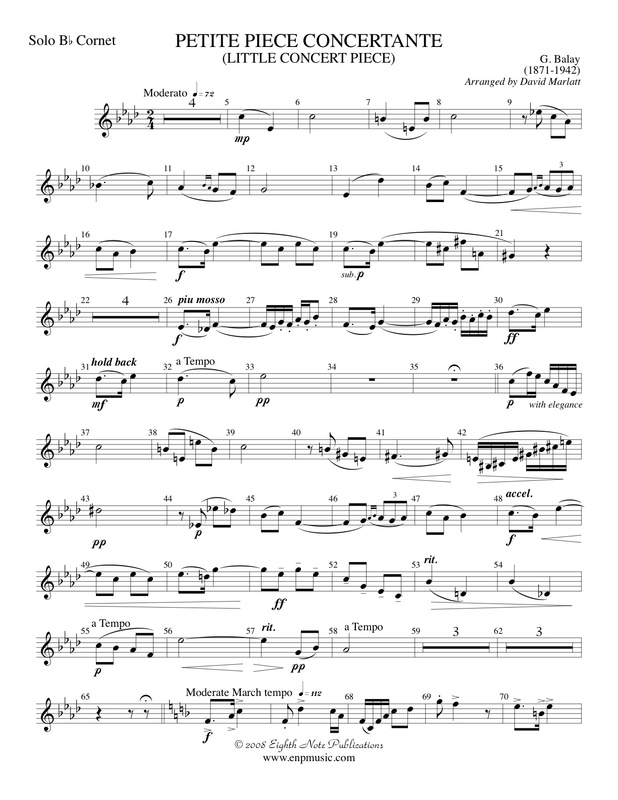 This is a standard piece in solo trumpet repertoire that is used on countless festivals and competitions. The beautiful opening weaves its way through several key centers leading to the March where fast fingers and light articulations come into play. A great piece to show the capabilities of the cornet (or trumpet).